Are you looking for more information on Lodgis? Welcome to our press zone. This is the place to come for all our latest news, statements, articles and any other information about the company and our operations. Paris furnished lets survey, legal and tax changes affecting the property market, corporate news, etc. 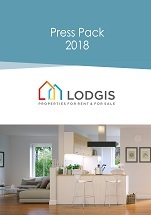 All the latest on Lodgis and the property market is here. Barometer of the furnished rental market in Paris - Q1 2019: Rents slightly up in Paris… and the success of the Bail Mobilité! Lodgis in the press! Here are a few articles about Lodgis that have appeared in the press, online, on television, on the radio, etc.